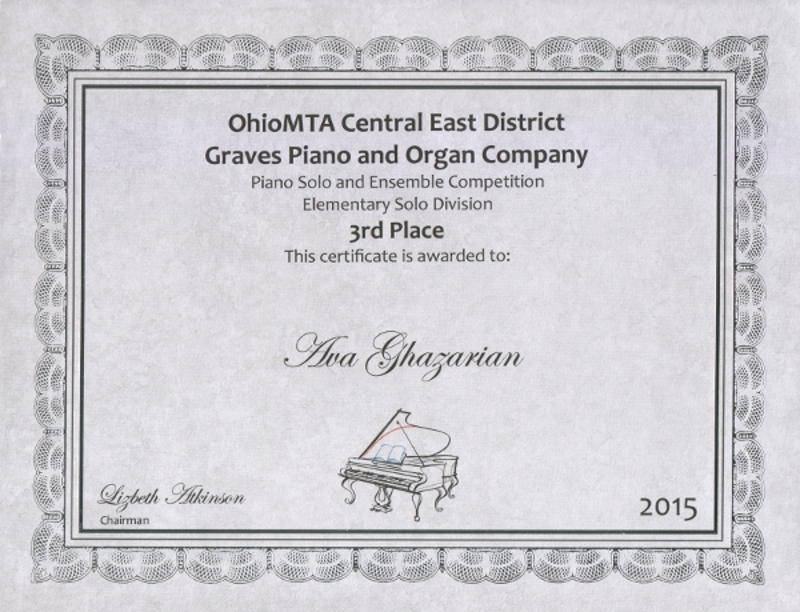 Students Achievements - DR. GULIMINA MAHAMUTI PIANO STUDIO SOUTH CHINA, MAINE, U.S.A.
Ava Ghazarian w﻿﻿on T﻿﻿hird Place at the Elementary Solo Division of the 2015 OhioMTA/Graves Piano Solo and Ensemble Competition in Columbus, OH. 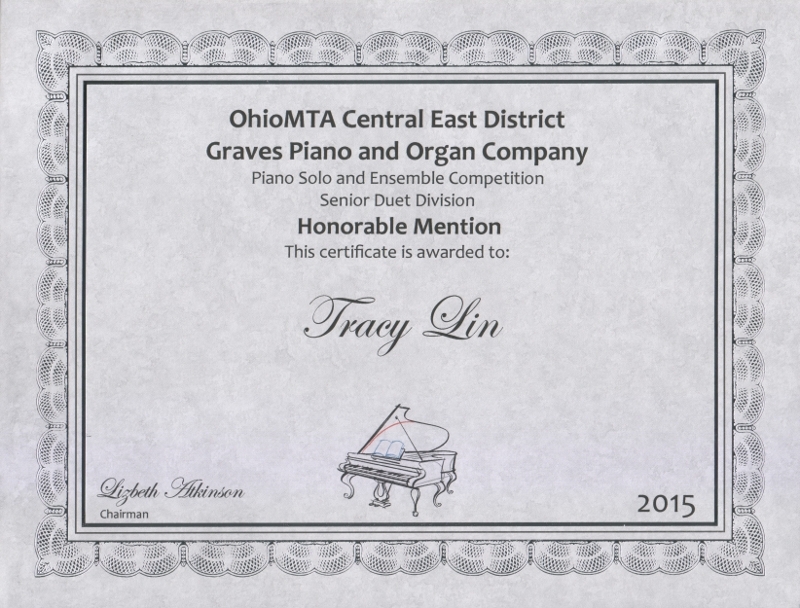 Tracy Lin and Jason Lin received Honorable Mention at the Senior Duet Division. 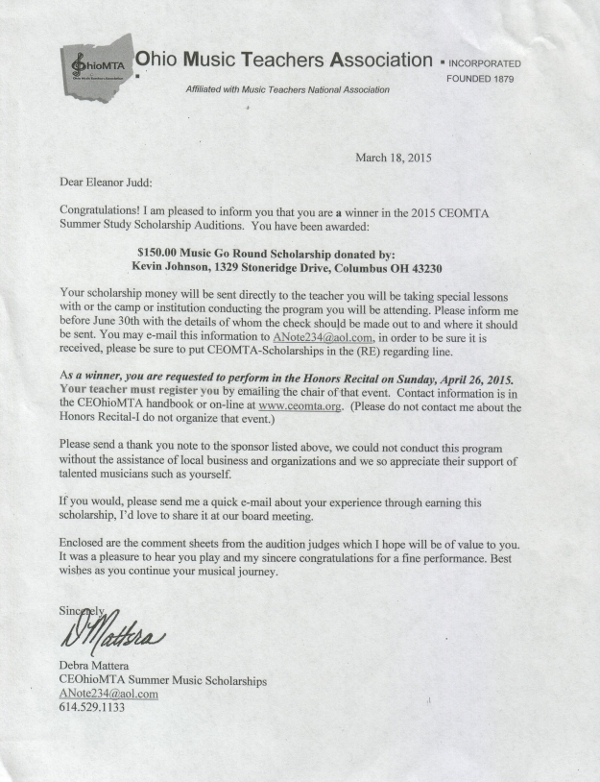 "Music-Go-Round Scholarship" of $150 in March. 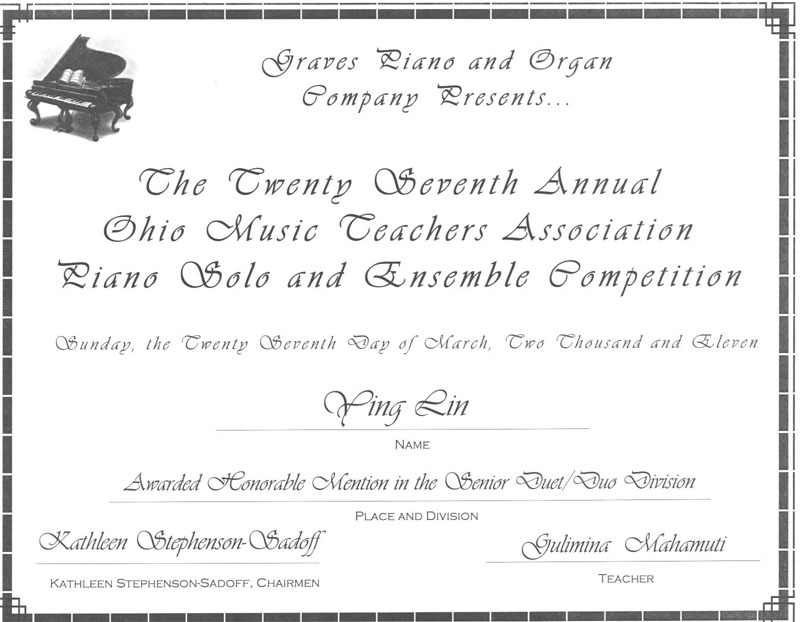 Meiyan Timberlake and Andrew Xiao won 2nd Place in the Junior Duet Division at the ﻿﻿2014 O﻿﻿hio Music Teachers Association Graves Piano Solo and Ensemble Competition in Columbus, OH. 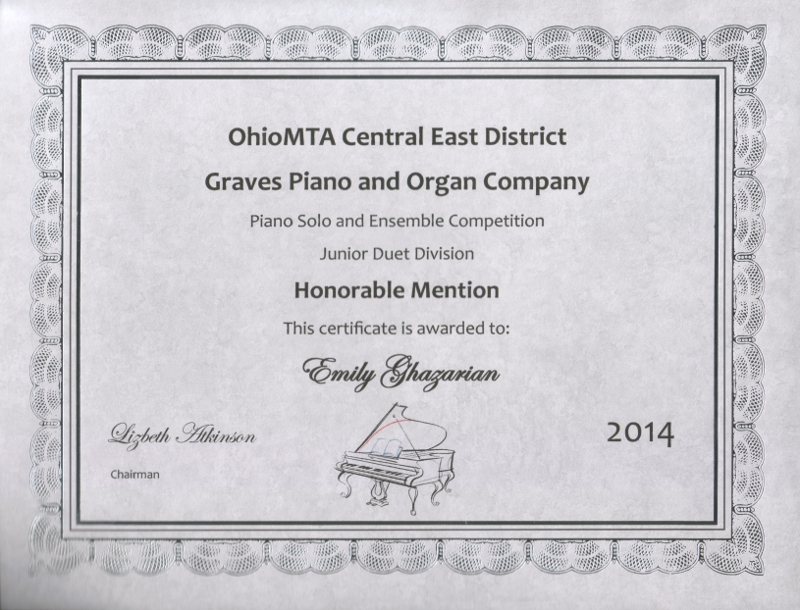 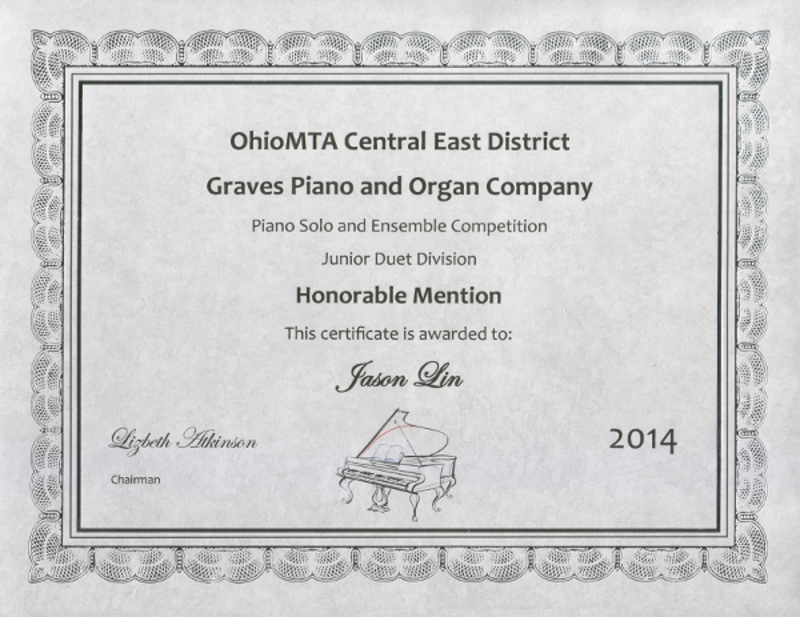 Jason Lin and Emily Ghazarian won Honorable Mention in the Junior Duet Division at the 2014 Ohio Music Teachers Association Graves Piano Solo and Ensemble Competition in Columbus, OH. 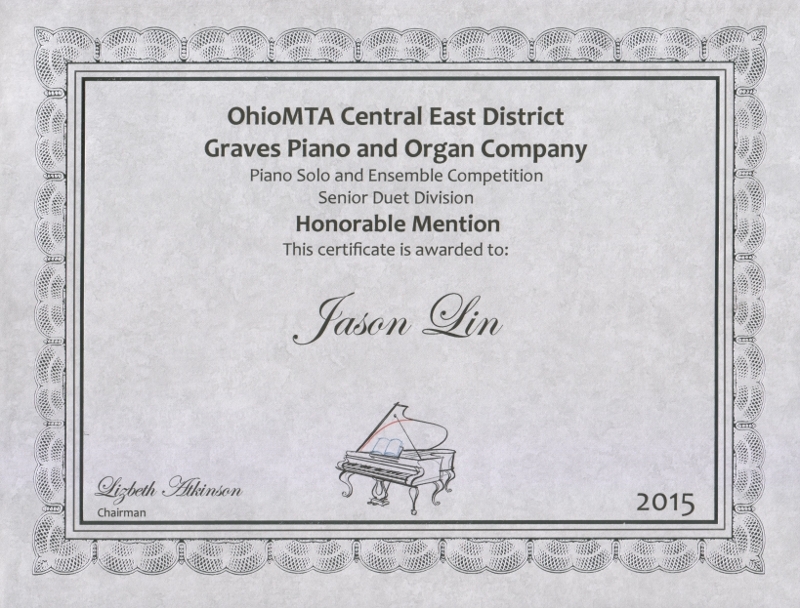 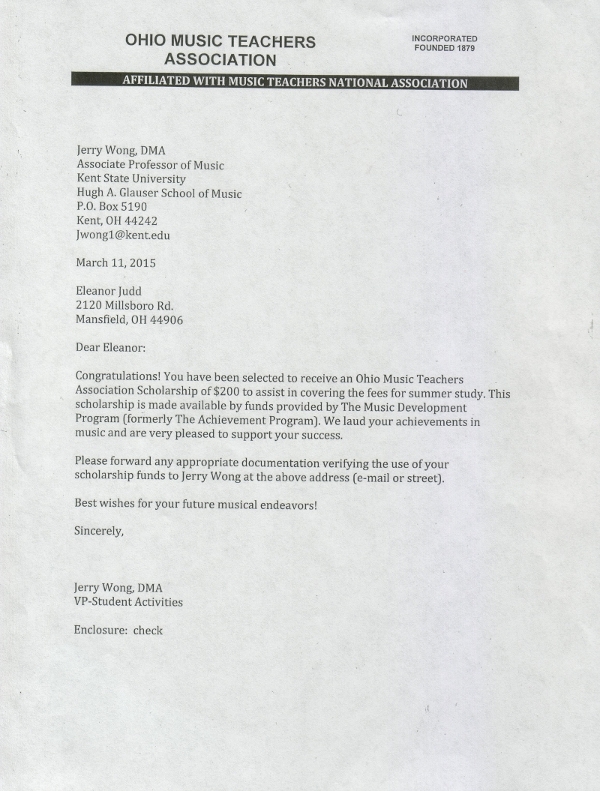 Jason Lin Received the 2014 Piano Scholarship from the Ohio Music Teachers Association. 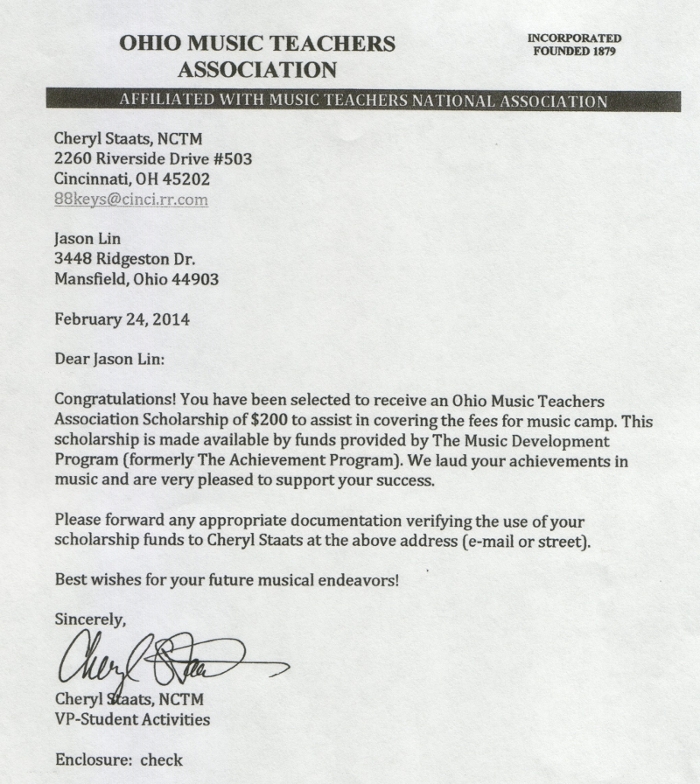 from the Central East District of Ohio Music Teachers Association. 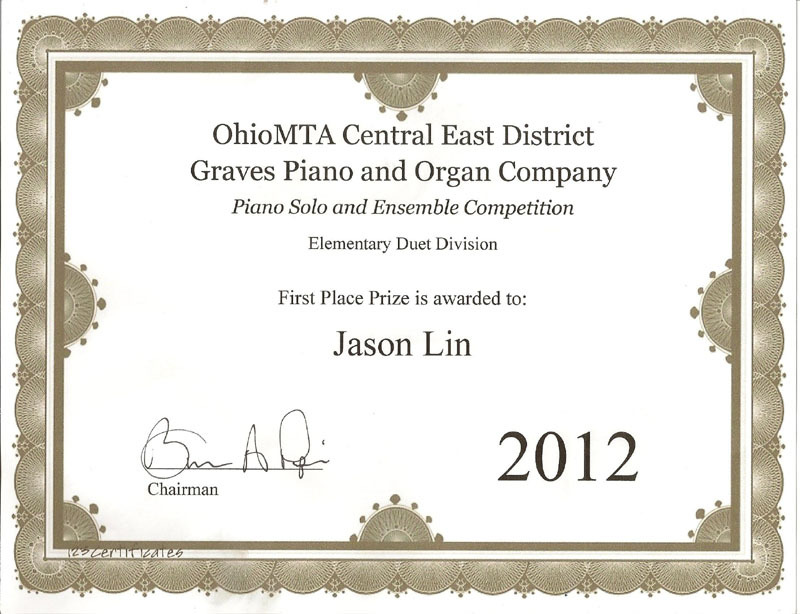 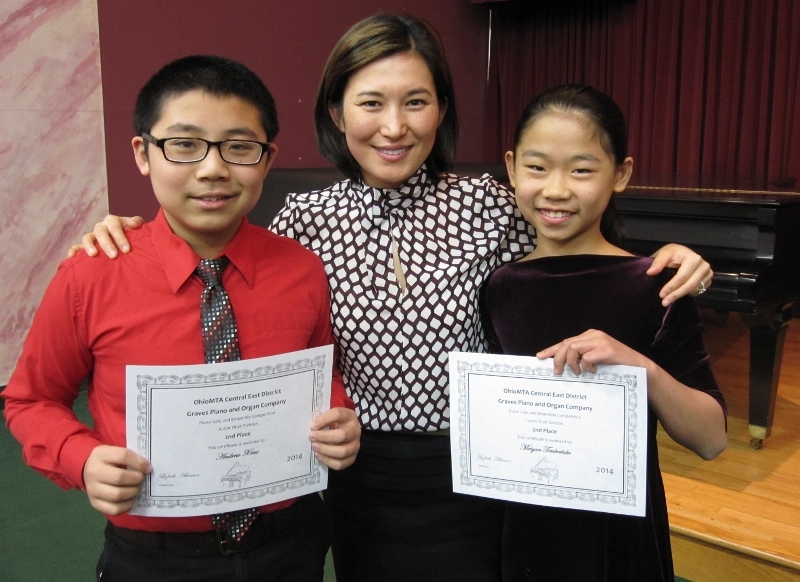 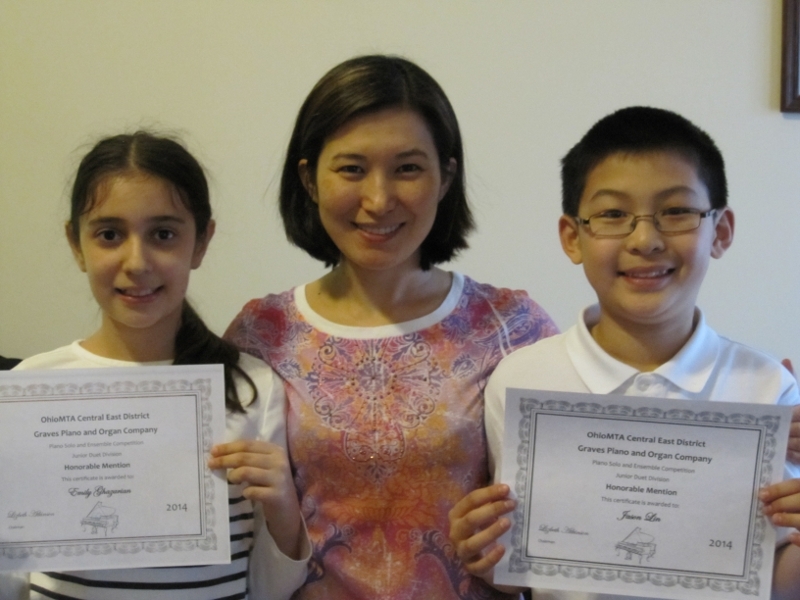 Emily Ghazarian (right) and Jason Lin (l﻿eft) w﻿on First Prize in the Elem﻿entary D﻿uet Division at the 2012 Ohio Music Teachers Asso﻿ciation Graves Piano Solo and Ensemble Com﻿petition in ﻿Columbus, OH. 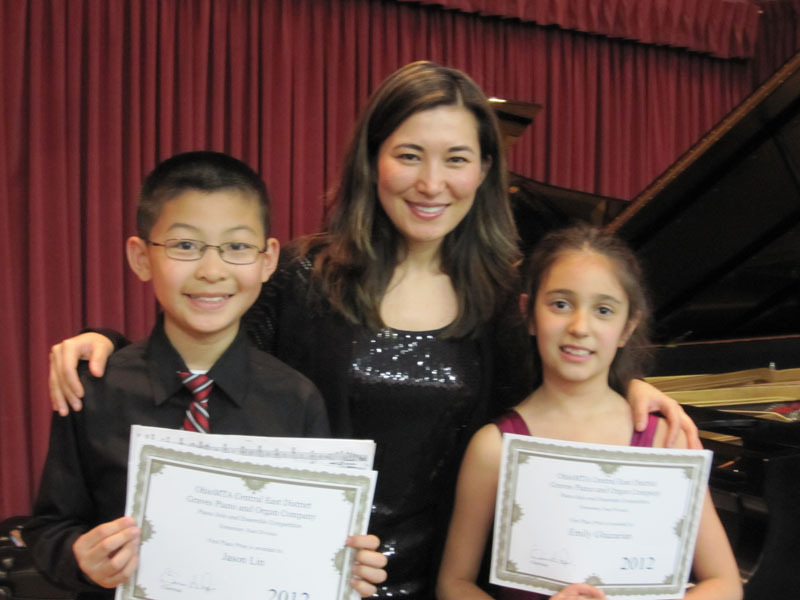 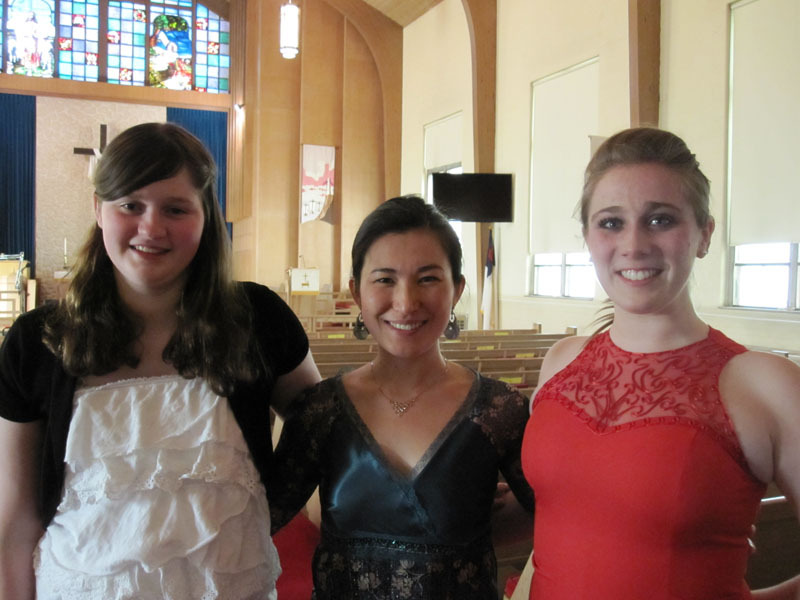 Three students competed and all won top Prizes at the 2013 Mansfield Music Study Club Piano Scholarship Competition. 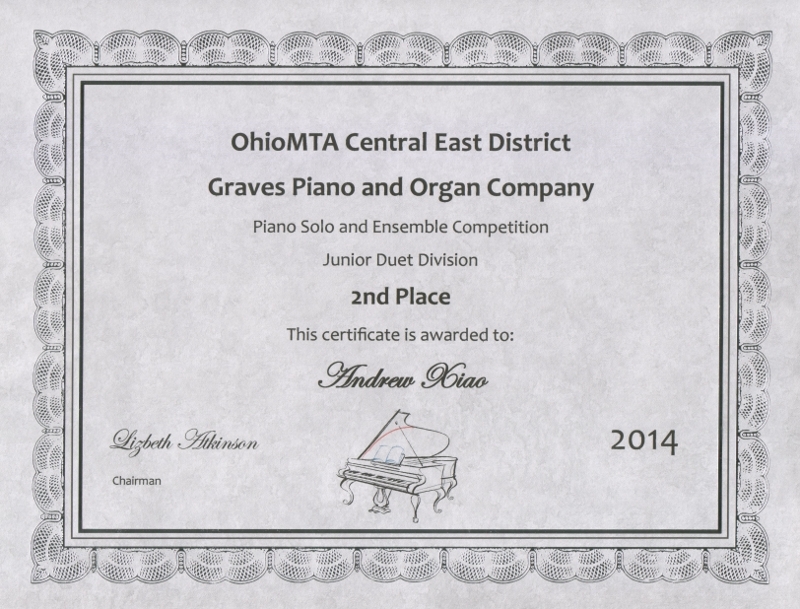 The competition has two divisions, Grades 7-9 and Grades 10-12. 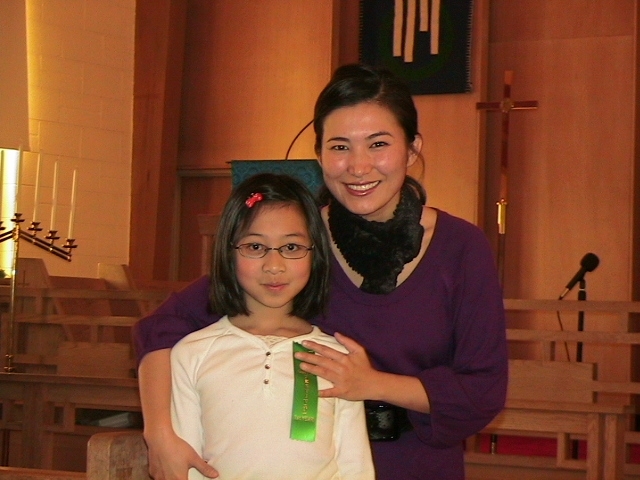 First-Prize Winner of the Grades 7-9 Division, Tracy Lin (right) with Dr. Mahamuti (left). 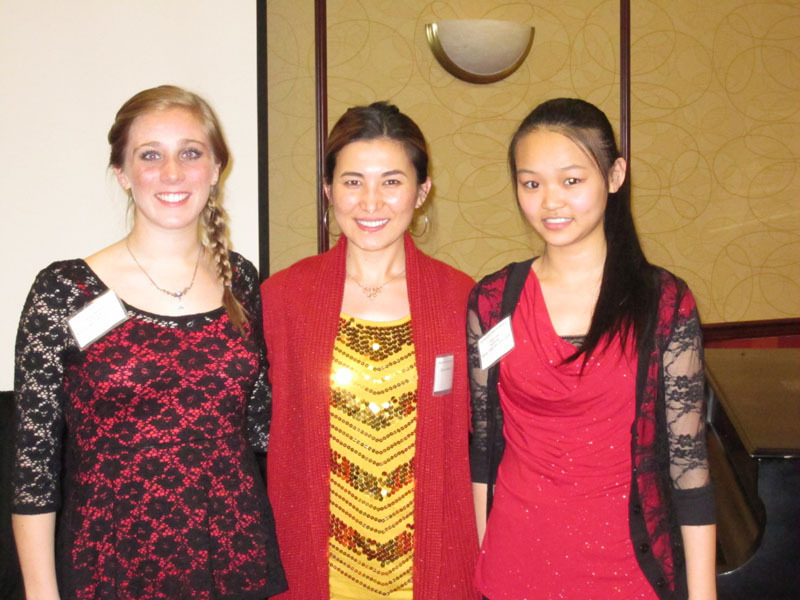 First-Prize Winner of Grades 10-12 Division, Claire Phillips (left) and Second-Prize Winner, Rachel Ballitch (right) with Dr. Mahamuti (middle). 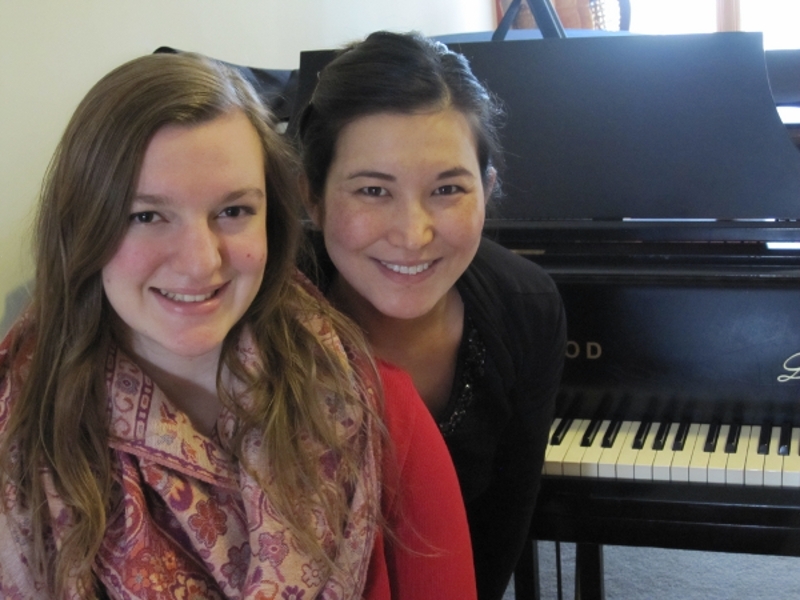 Rachel Ballitch (left) and Tracy Lin (right) performed at the pre-college master class at the 2012 Ohio Music Teachers Association State Conference, the biggest and a highlight among OhioMTA annual events, in Columbus, Ohio. 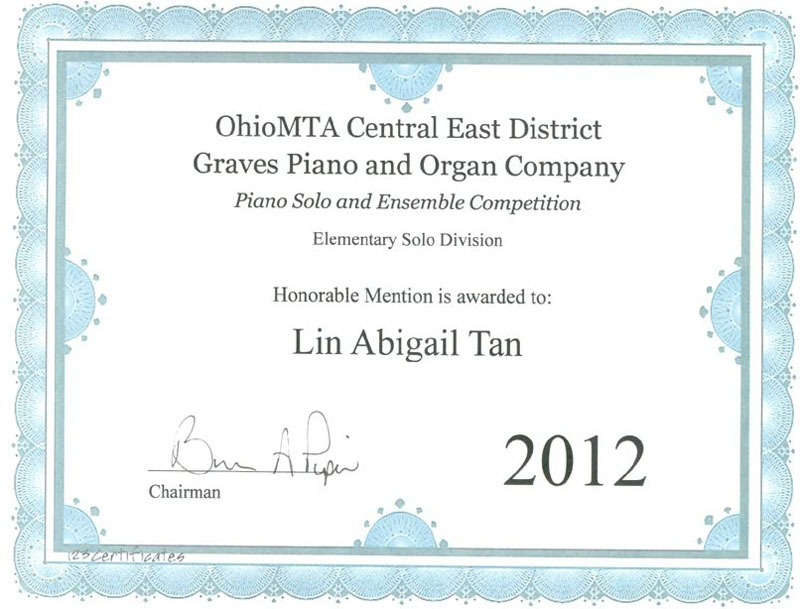 Lin Abigail Tan won Honorable Mention in the Elementary Solo Division at the 2012 Ohio Music Teachers Association Graves Piano Solo and Ensemble Competition in Columbus, Ohio. 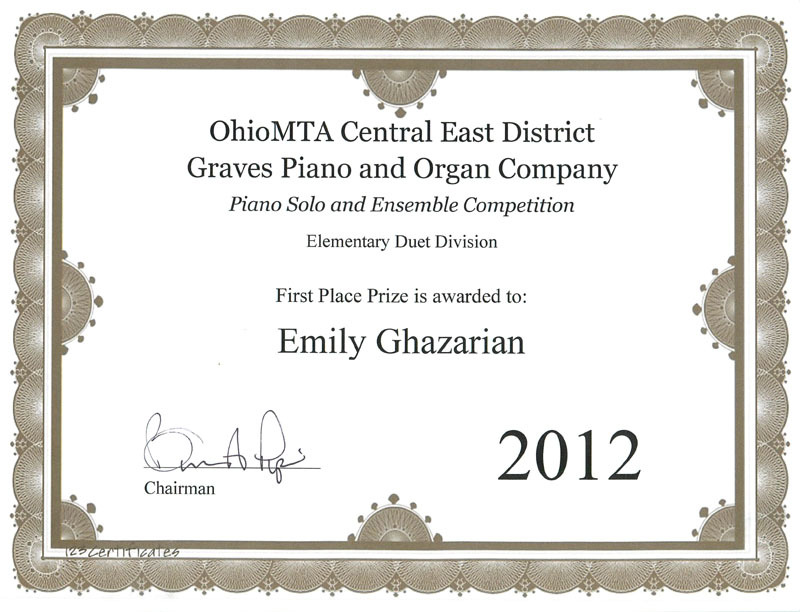 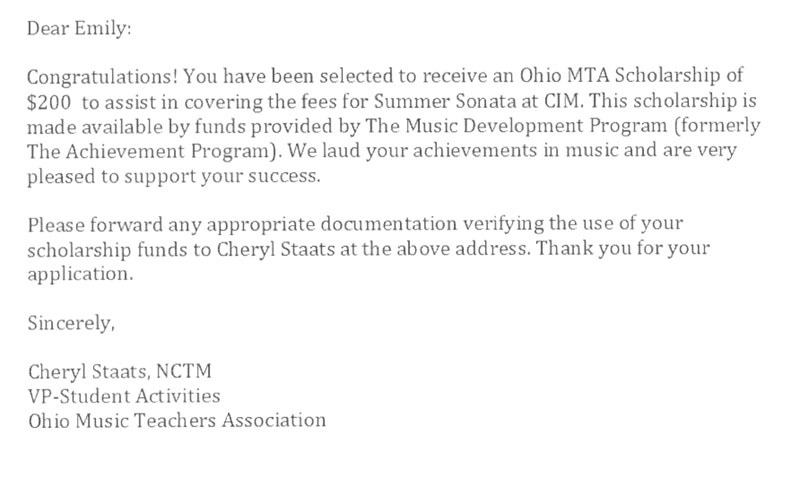 10-year-old Emily Ghazarian received 2013 Ohio Music Teachers Association Summer Scholarship. 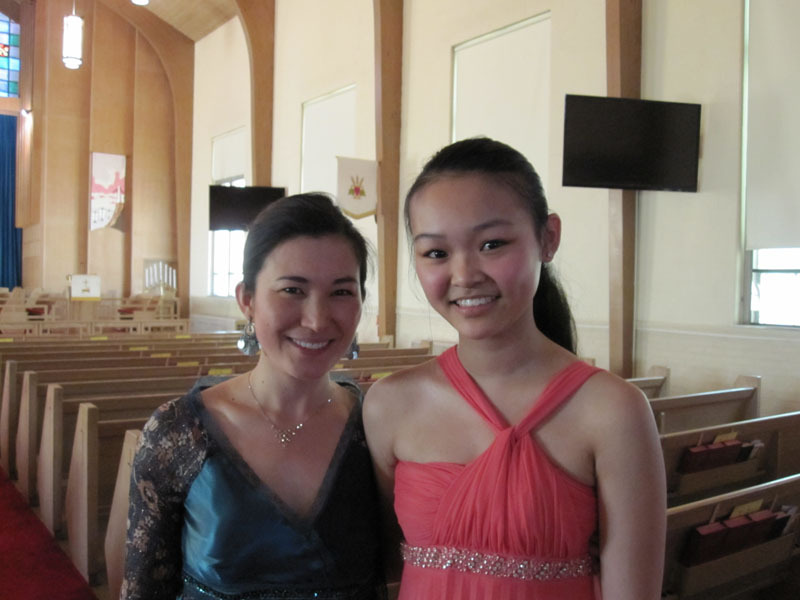 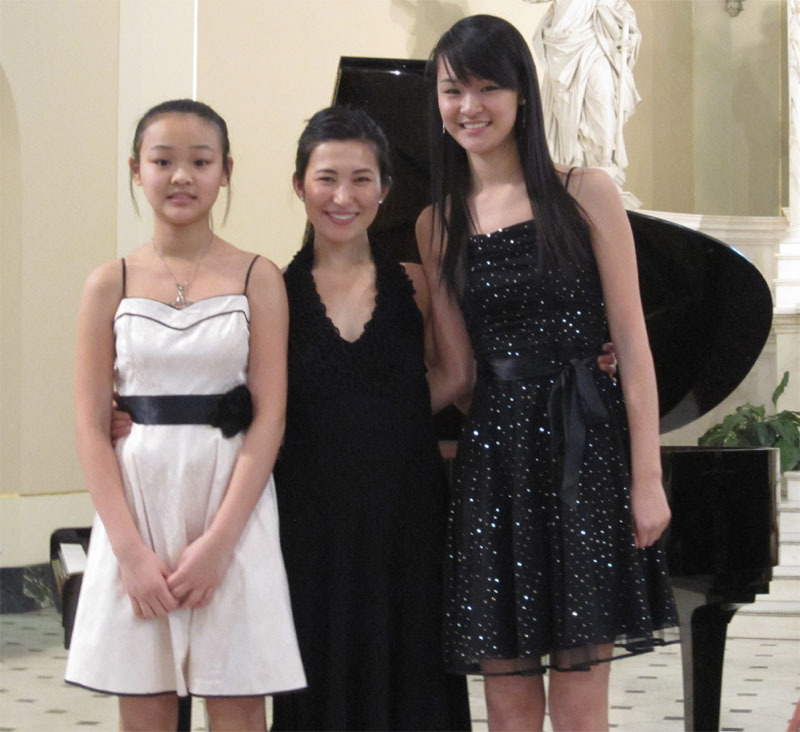 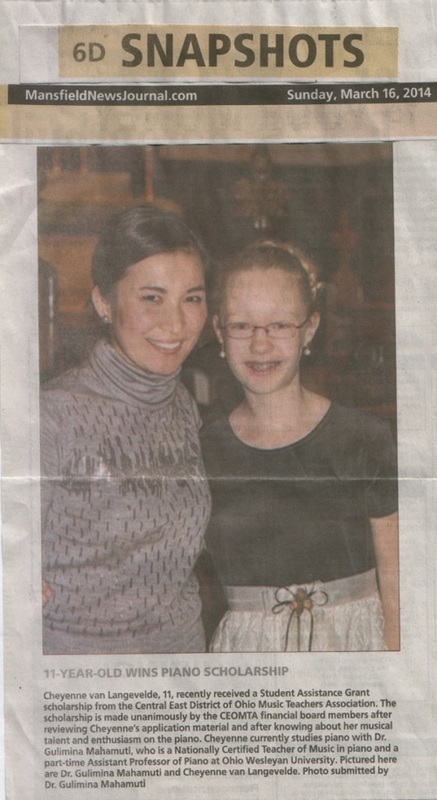 Ying Lin (right) and Tracy Lin (left) won Honorable Mention in the Senior Duet Division of the 2011 Ohio Music Teachers Association Graves Piano Solo and Ensemble Competition in Columbus, Ohio.